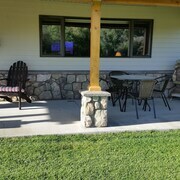 Montana Trout Fishing Paradise - a Very Special Place! New owners as of today. Our room was upgraded .It was vey cold outside(-24) but was decent in our little upgraded cabin. I did bring some sleeping bags to add to the bed due to the severity of the weather. Cabin was cute and clean. 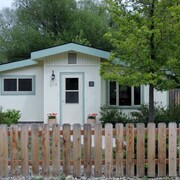 This home is impeccably maintained and everything we needed had been anticipated and was right at our fingertips. Our travel plans were made at last-minute due to unforeseen circumstances, and Joe was flexible and accommodating, which we greatly appreciated. The heat was turned on prior to our arrival on a chilly January night, a kind gesture that made us feel very welcome. We will be traveling back to the area again next summer and would certainly stay again. Highly recommend! Where to find Virginia City hotels near an airport? Where can I find hotels in Virginia City that are near tourist attractions? 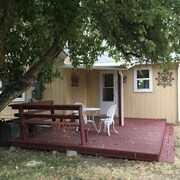 Looking to find a room in Western Montana, particularly in or around Virginia City? 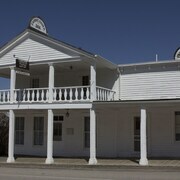 Virginia City offers 2 hotels within 0.1 kilometres (0.06 miles) of the heart of town. The Fairweather Inn is one of the most convenient options because it is one of only a small number of choices within a comfortable stroll of the Virginia City downtown area. 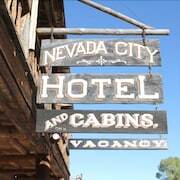 3 kilometres (2 miles) away from the heart of Virginia City is the Nevada City Hotel. 0.8 kilometres (0.5 miles) away is the Fairweather Inn which is an alternative option. Why don't you experience some more of the lakes, mountains and valleys that are common in Western Montana? Plan to spend time in some of the other parts of Western Montana. Spend your time snowboarding, skiing and cross-country skiing or visit the region's tourist attractions. Comfortable accommodations are on offer. Looking for more things to do? Spend a few hours exploring Grizzly and Wolf Discovery Center and Yellowstone IMAX Theatre, in West Yellowstone, 95 kilometres (60 miles) to the southeast of Virginia City. 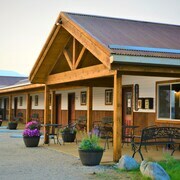 West Yellowstone hotel options include the Explorer Cabins At Yellowstone and Holiday Inn - West Yellowstone. 55 kilometres (33 miles) to the west of Virginia City, you can also stay at Dillon, home to the Comfort Inn Dillon and FairBridge Inn Express. The Clark's Lookout State Park and Beaverhead County Museum are a couple of the most popular points of interest to experience when visiting Dillon. If you are really into sports and really like games you might like to visit Butte Civic Center, which is 90 kilometres (57 miles) to the northwest of Virginia City. Those sports fans wanting to find accommodation nearby can make a choice from the Holiday Inn Express Hotel & Suites Butte or the Hampton Inn Butte. 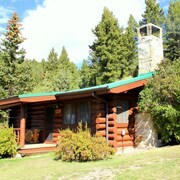 Gallatin Field Airport is a nearby airport, and is 80 kilometres (50 miles) away from Virginia City. Hotels that are nearby are Holiday Inn Express Hotel & Suites Belgrade and La Quinta Inn & Suites Belgrade / Bozeman Airport. What are the most popular Virginia City hotels? Are there hotels in other cities near Virginia City? 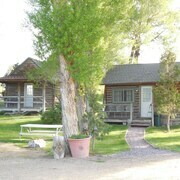 What other types of accommodations are available in Virginia City? Explore Virginia City with Expedia.ca’s Travel Guides to find the best flights, cars, holiday packages and more!